Creatures are one of the most intrinsic and important elements of Magic and Mayhem. They are what give the game a lot of its most memorable and unique qualities and they are also carefully designed in order to counteract one another and balance the game play. When enough mana has charged, a wizard can summon a creature from their chosen talisman, there the creature is under the wizard's control and can be moved anywhere around the map. Each creature has its own unique qualities, along with its advantages and disadvantages. Information about the creatures is learned through the Grimoire, an aged book pertaining all the knowledge you have learned so far in the game's world. In the entries you are able to discover a little more into their stories, their quirks and learn about their lives in the Arcane Realms, and you notice that not all creatures are natural fighters or even particularly friendly with wizards. The creatures within the game mostly have an appearance of classic, familiar mythical creatures with some added flair, as well as introducing some of its own unique ones. A lot of what gave the creature’s their charm was the method in which they were designed and then made by one of the artist’s on the team, Alan Friswell, a sculptor who has also worked with Ray Harryhausen. Each creature and character sprite in the game was in fact made from a clay model figurine. They were placed against a blank screen and each of their movements photographed in stop motion style. The miniature models were then placed into the games as sprites, which resulted in a very 3-dimensional look that was lifelike and appealing, although rather clunky and awkward to control at times. All creatures of a particular type had the same design in Magic and Mayhem, which was perfectly fine considering the methods taken to make them and the technological limitations of the time. I am toying with the idea of having slight differences and unique features in mine though. 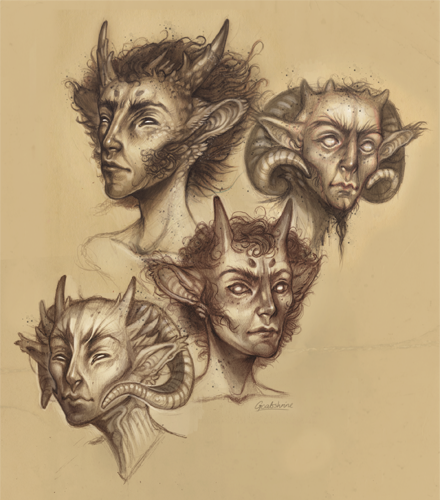 As seen in the drawing I've done on the left, fauns for example could have different types of horns. Multiple models for a creature could be made with slight variations in colour and design. I do not know exactly who or what these guys are supposed to be but they're welcome my sketchbook anytime. Fauns maybe? As seen in the Grimoire below,creatures each have their individual stats, the most important and relevant to the player being Mana Cost, Health, Combat and Speed. The effect of the others is not explicitly explained or particularly noticeable in the game, nor were they implemented into the main campaign much in puzzles, and I think there is a lot of potential there. Resist Magic - and it is also hinted that Intelligence - are what determines a creature's ability to resist the effects of certain spells such as Judgement and Subversion. In the case of a creature's Weight, the heavier it is the more damage it will be dealt if is to fall from a great height, such as from the effects of the Tornado or Levitation spell, there are also a few small challenges in the main game related to Weight through buttons and bridges. The Grimoire showing the Faun. The artwork used is taken from the clay figurines used as the animated sprites in-game. It is not easy to come across a wide variety of different types of images from Magic and Mayhem online other than some screencaps of the gameplay. There is especially not particularly anything in-depth about creatures or their appearances. Because of that, rather than taking screenshots or collecting images I decided to draw some of them myself and practice my sketching and conceptual work at the same time. 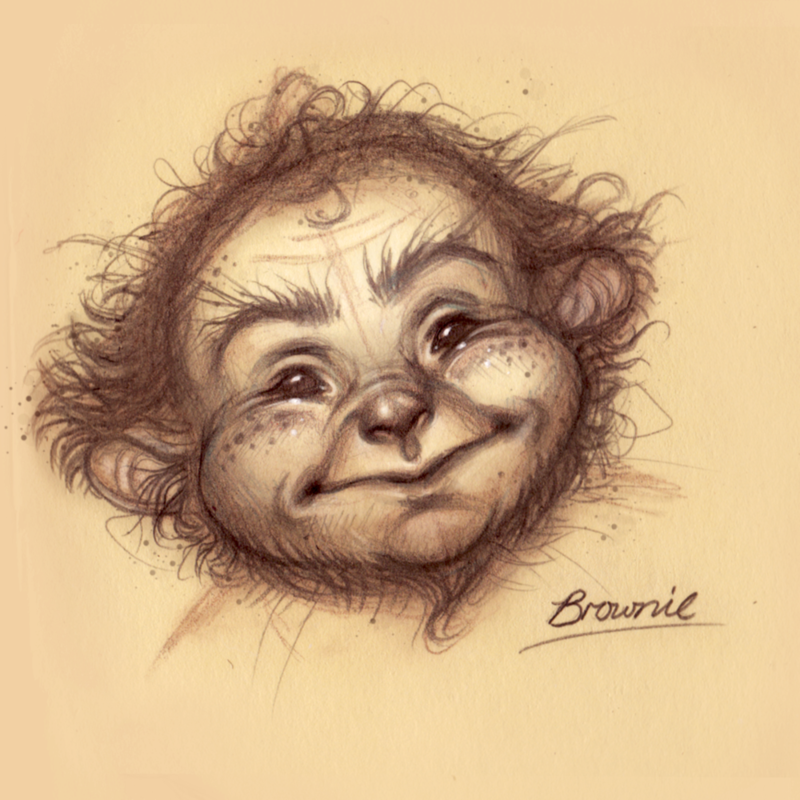 One of the first creature's you'll encounter in-game, the Brownie is a shy though friendly creature. They are rarely seen, and co-exist peacefully alongside humans, serving as anonymous housekeepers and farmers. They are keen at finding objects though weak in battle, and prefer to retreat to a safe distance and lob stones. Intelligent, shrewd and mistrusting of humans, Elves do not like anyone trespassing in their forests. They are hunters, outfitted in green woodland attire and equipped with a bow. The elves are keen archers, preferring to hold back and attack from a distance. If forced into hand-to-hand combat, they will use a small hunting dagger. Beautiful and pure, Unicorns are one of the strongest forces of Law. They are able to swiftly and easily take down armies of the undead. A beautiful though ferocious bird that bursts into flame once it is killed. Immune to fire. One of the most civilised creatures in the game, centaurs can be found in and around populated cities. Half man and half horse, they have a steady but tense relationship with wizards. A large and majestic beast with the head of an eagle and the body of a lion. It can cause a great deal of damage with its enormous talons. Tall, slender and alien-like, the Champion of Law stands out as one of the most uniquely different creatures in the game. It can freeze enemies in place, and then shatter them with a mighty blow. 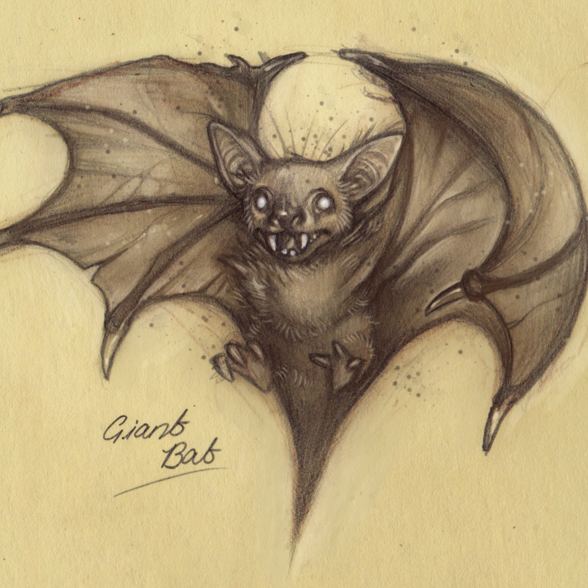 Large for a bat, but the smallest of creatures and despite its large fangs and claws, still rather cute. It is the fastest of all the creatures, able to scout out the map effectively with ease. A single bat on its own is very weak, but a swarm is formidable. A Faun truly is the definition of neutral in that as long there is plenty of drinking and fighting, they don't seem to care what it is for. Equipped with a spiked mace, they enjoy taunting and teasing other creatures in battle. With the body of a cockerel and the tail of a snake, the Basilisk is a bizarre beast with with a very mismatched appearance.Although small and weak, it has a poisonous bite. Curiously, the only non-mythical creature in the game, the crocodile is a ferociously tough and deadly fighter. Can survive and move easily in deep bodies of water. 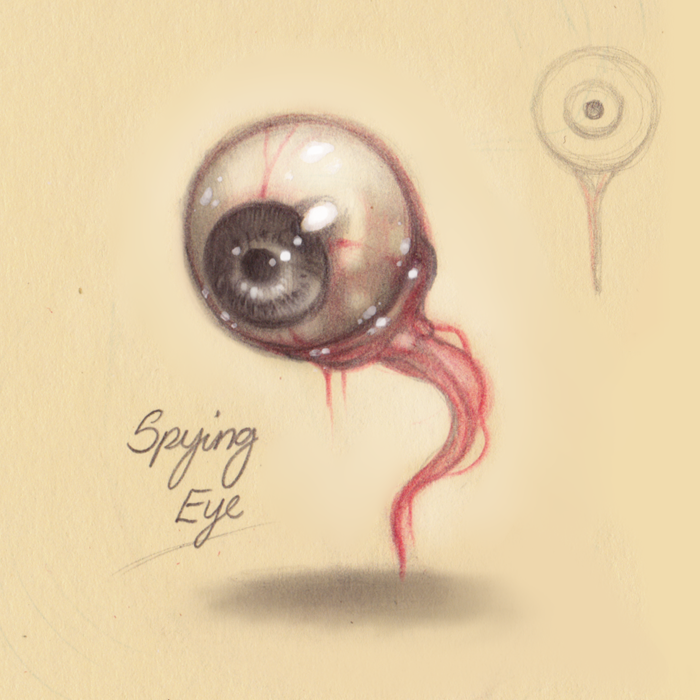 The Spying Eye is a bizarre sight, it is one of the smallest creatures and is essentially comprised of a large floating eyeball on a stalk. It cannot attack or move from where it was cast, but it has a wide range of vision and can see invisible creatures. Tremendously ugly, stupid and wielding a large spiked club, Trolls live in their simple settlements inside caverns and under mountains. They are able to replenish their health by eating rotting carcasses. The largest creature in the game, and magnificent in appearance. They are true neutrals, uninvolved with the squabbling of Law and Chaos. 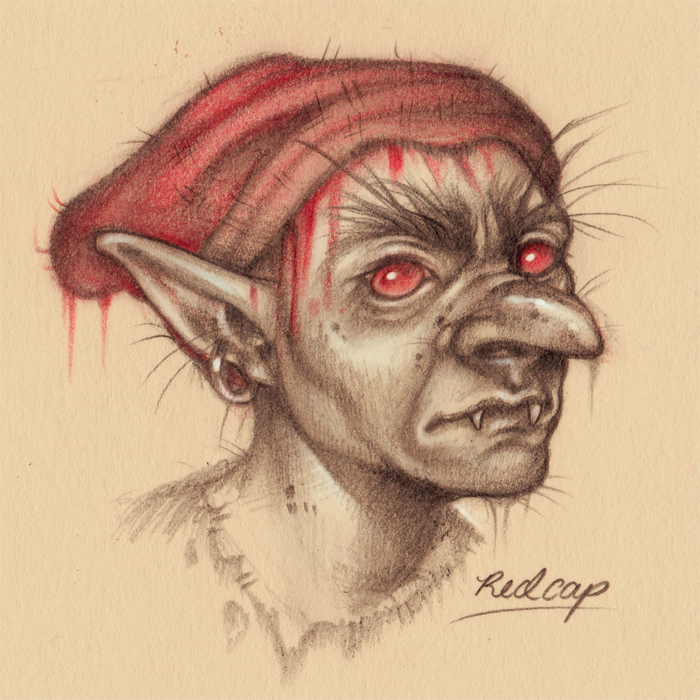 Gnarled little creatures with sharp claws and gargoyle-like features, Redcaps are filled with wickedness and spite. Like the Brownie, they also (and more aggressively) lob stones at their enemies from a distance. They are able to replenish their health by dipping their red cap in the blood of their enemies. I always found it rather odd that it seemed perfectly acceptable that wizards would just wander around with a zombie companion, but there is a sense that everybody in these games, even student wizards, have had to come to terms with necromancy. Being undead, zombies are effective fighters and have an advantage above the living. A basic undead fighter, easy to summon and equipped with a sword and a shield. Weak and brittle alone, but deadly in a group. A large, shadowy black dog with an intimidating presence. It possesses a hypnotic stare, able to freeze enemies in place for a few moments with its gaze. Upon death, the corpse will explode, causing damage to nearby creatures. An eerie, faceless spirit, floating silently through the air. No legs or arms appear from beneath its ragged cloak. It is invisible and can only be seen when it is right up beside you, allowing it to easily sneak from behind and attack with its scythe. Shockingly bright red, covered in spines and a mouthful of sharp teeth, the Manticore is a terrifying sight. If its lion-like front end weren't bad enough, it also has a scorpion tail back end which can fire quills. 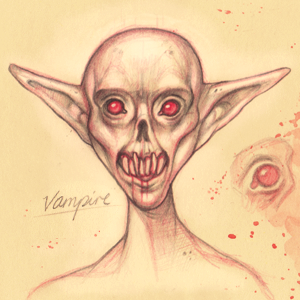 Among the most powerful of undead creatures, the Vampire has the ability to transform into a large bat at will, giving it a tactical advantage. By draining the blood of its victims, it is amble to replenish a small amount of its own life. The incarnation of all that is hellish. 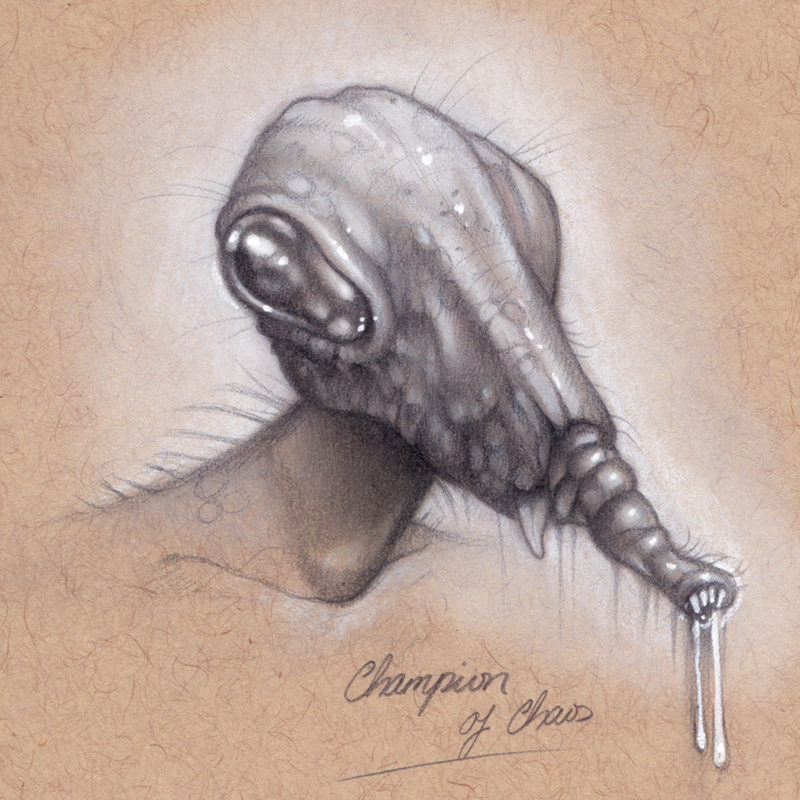 The Champion of Chaos can best be described as a bug-like creature, it looms forward with pincers like a mantis and legs like a fly. It is able to spit its plague and infect enemies around it.